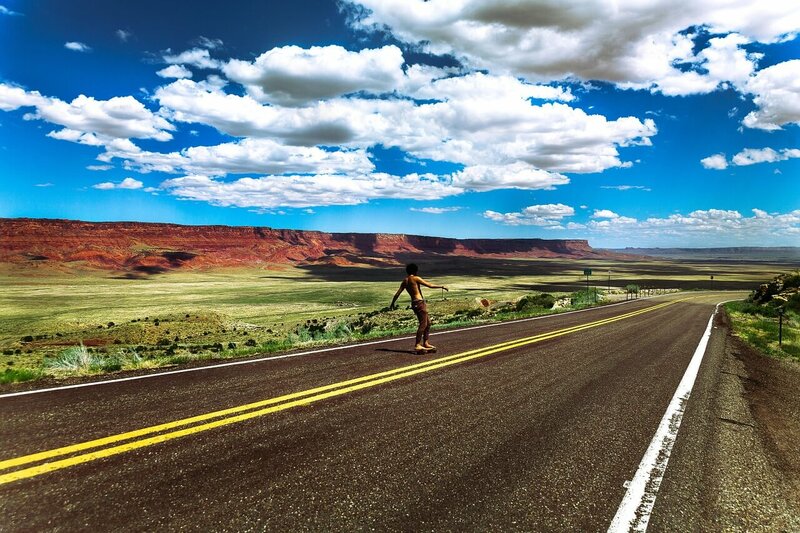 The best style of longboarding depends a lot on the experience of the rider and the desired speed of riding. The styles are not strictly clear-cut and aspects and techniques of different styles tend to carry over. The order of advancement in styles of longboarding goes from cruising to freestyle to freeride and finally downhill riding. Cruising is a totally relaxed style which becomes more active as the rider moves on to freestyle riding. By the time one moves to freeride, the pace has picked up and riding become more active. By the time one is doing downhill, the pace is extremely fast and furious. Beginners typically advance from cruising to Freestyle. Cruising involves having fun cruises, using the board for transportation and gentle riding. Freestyle adds old style skating and doing tricks and then the rider advances to Freeride. As a freerider, one carves downhill, riding on the streets and hills and performing technical maneuvers. Once a rider masters the freeride riding style, he moves on to the downhill style. Downhill longboarding is one of the more popular styles of longboarding. It involves going down hills and slopes as fast as possible. This style of longboarding is primarily for racing and going straight down hills and slopes. The rider thus crouches to reduce wind resistance and for better stability. 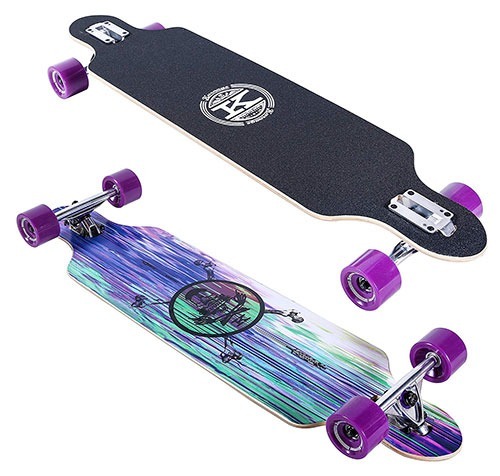 Due to the different skills and tactics in the styles of longboarding, the decks best suited for the styles differ. Longboards differ in deck style, board shapes and the wheelbase. The biggest difference between typical deck styles is the height of the board. This affects the stability of the board, leverage while carving and the effort required in pushing and braking. A higher board has both pros and cons. A high board raises the center of gravity, which offers the rider better leverage for making quick carves. However, it lowers the stability of the board and requires more effort when pushing and braking. 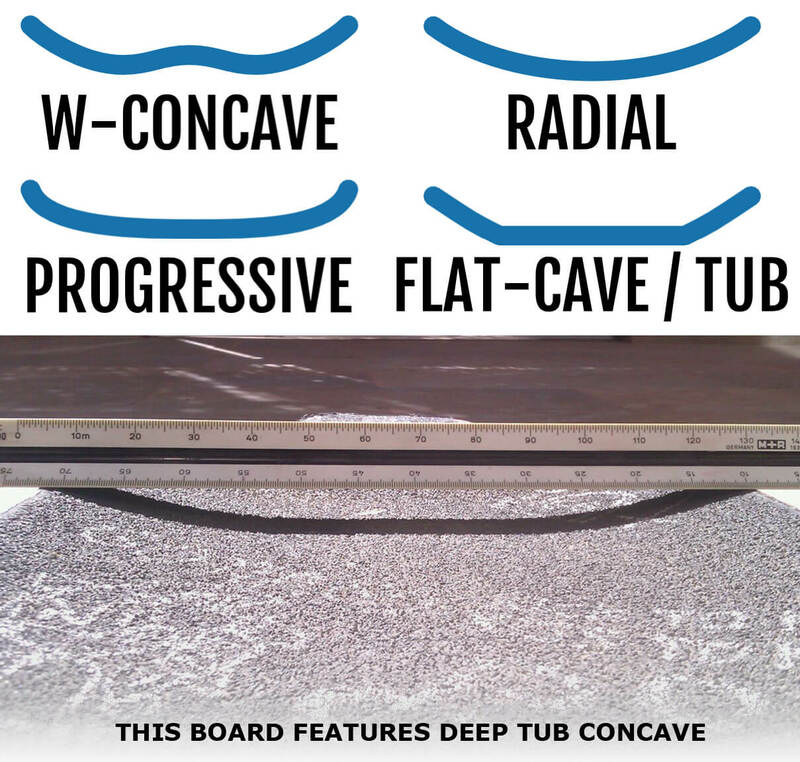 A lower board has a corresponding lower center of gravity and reduces effort fatigue. However, it has less leveraging for making carves. This increases the chances of wiping out in tight corners and when turning in high speeds. Downhill longboards usually have lower boards, with the lowest deck style, double drop, being used almost exclusively for downhill riding. 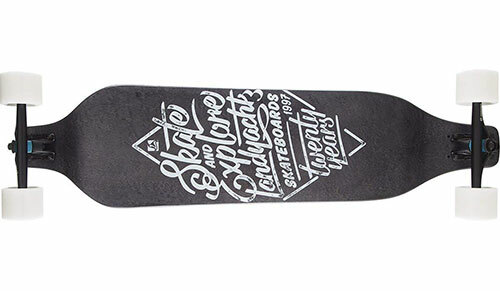 Boards differ in shape mostly due to three things: the concave of the deck, cut-outs and kick tails. The major difference of downhill longboards from other decks in shape is their concave. 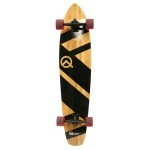 Freeride and downhill longboards tend to have a steeper concave compared to decks for other styles. 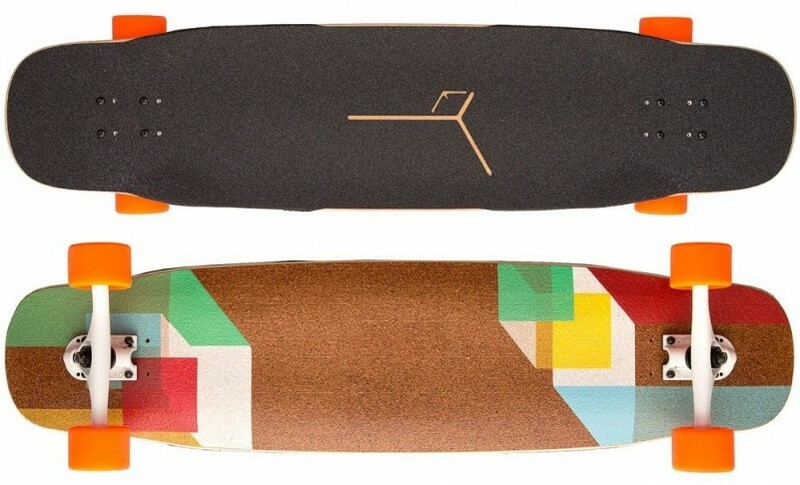 Downhill longboards are also almost exclusively the ones that have a w-concave. 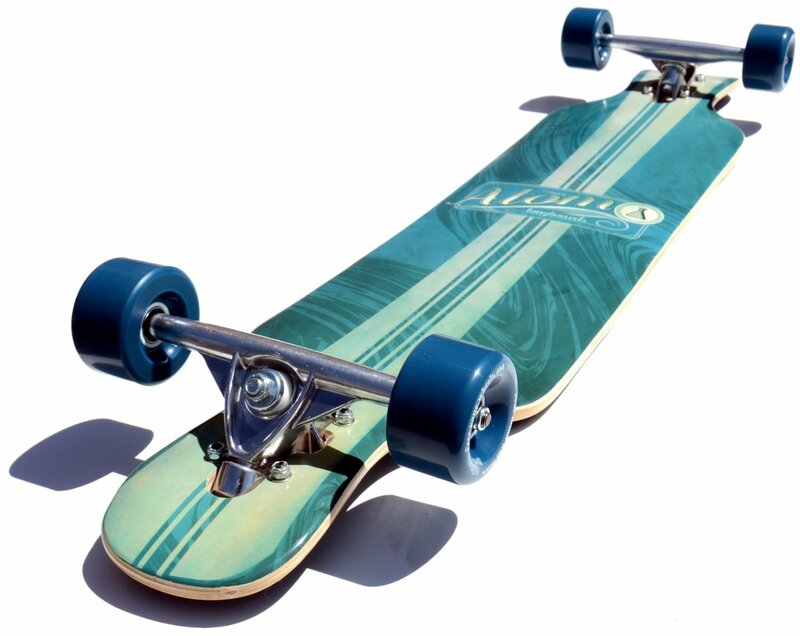 The boards wheelbase length affects turning and stability. The shorter the wheelbase, the more the leverage a rider has for turning enabling tighter and faster turns. A longer wheelbase provides increased stability at high speeds, making it more desirable for downhill longboards. The choice of downhill decks available to riders is great. Given different riders have different requirements and the boards have varying features, selecting a longboard is as much about opinion as it is about objectivity. 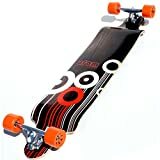 They are among the best longboards for downhill racing and are easy to use for beginners. They possess the performance requirements desired by racers. The podium topping board is mounted low, making it stable at high speeds. 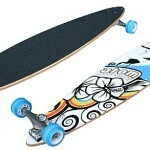 The low mounting and its design also reduce strain when cruising and is thus a great board for beginners. This is a top mount board made with 9 rigid plies of Canadian maple. 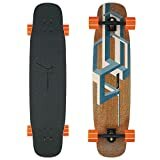 The high mounting of the Woodstock Chieftain longboard increases leverage allowing a rider to quickly make sharp carves. At the same time, the rigidity of the board ensures the board is stable under moderate and high speeds. It also makes the deck more responsive when one is riding it. 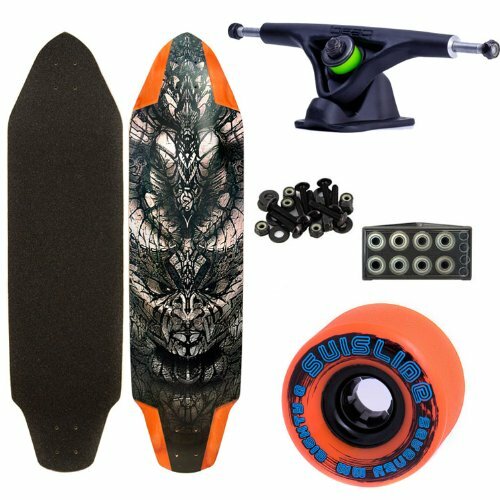 The board is a top mount symmetrical twin kick longboard with multiple wheelbase configurations. This makes it a very versatile rode that can be used for any type of riding and a solid all-round deck. The board is mounted low and is relatively large, making it one of the most stable decks. It is thus well suited for beginners who are learning or interested in cruising. The design and drop deck makes it also very stable when riding at very high speeds. This is a double drop longboard with amazing performance. This results in increased stability, makes for easy slide initiation and pushing. When selecting a longboard, riders have to take more factors into consideration other than the deck’s features. 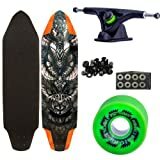 Some of the factors are desired longboarding style, experience of the ride and where the rider will primarily be longboarding. Making the right selection ensures best value for money and a better longboarding experience. However, whichever type of longboard one uses or their style of riding, one thing is still true: Longboarding is simply awesome and a great way to have fun and keep fit.